Tourist Corridor, Cabo San Lucas, Los Cabos Baja California Sur, México. Chileno Bay Golf & Beach Club is a Private Club. Chileno Bay Golf & Beach Club is a private community that promises authentically inspired residences and leisure pursuits along Cabo’s most celebrated coast. The Chileno Bay Golf Course is a fantastic part of this new project. Renowned for its rich history and swimming beach on the Sea of Cortés, Chileno Bay will be a sanctuary for its Members for generations to come. Chileno Bay Club will feature Discovery Land Company’s unparalleled amenities, Member Services and Outdoor Pursuits program. 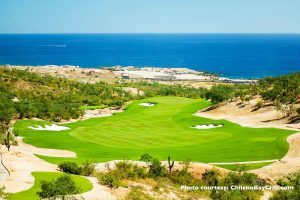 Tom Fazio has designed several challenging and beautiful championship golf courses for numerous Discovery Land communities, and his latest jewel at Chileno Bay is no different. 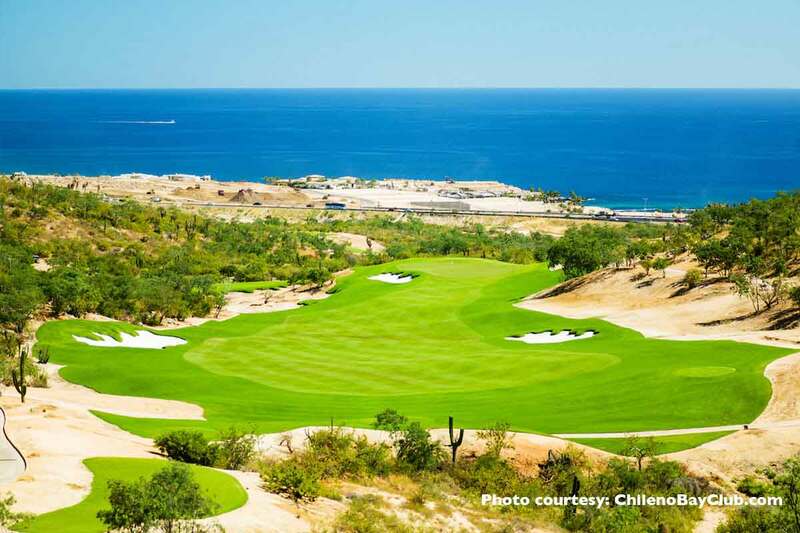 You’ll enjoy amazing vistas of both the coastline and the Sierra de la Laguna Mountains as every hole offers a view of the Gulf of California. 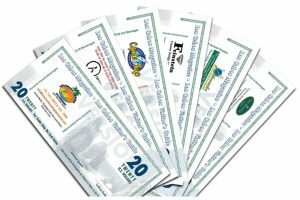 22 February 2017 – Chileno Bay Golf & Beach Club has requested that we not include informtaion about their club.